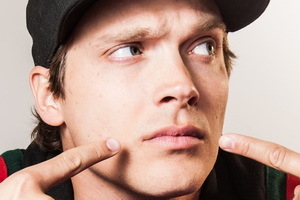 Always in constant demand, Tom Thum continues to travel the globe, enlightening audiences the world over with his extraordinary, mind-blowing talents. If you've never been lucky enough to witness this Beat Boxing phenomenon in action, you certainly should (and thank us later). TEDx: Tom's TEDx Sydney performance in 2013 propelled him to internet stardom as his 15 minute showcase quickly became the highest viewed TEDx video of all time with over 67 million views and counting! Now recognised worldwide for his obscure talent to warp and manipulate his vocal chords, BeatBoxer Tom Thum continues to prove to audiences that there is no sound he cannot mimic to perfection. Tom's unique abilities have seen him perform to sold-out crowds all over the world and his recent collaboration with the Queensland Symphony Orchestra has put him in a league of his own. With his vocal talents being sought out by brands such as Disney and Audi, he has proven that his sound is truly world class and transcends expectations. Tom was an incredible speaker! Articulate, thorough, passionate, inspiring, humble, hilarious, a perfect candidate for the Conscious Club stage. Tom Thum appears to have swallowed an entire orchestra and several backing singers. There are not enough superlatives to describe the wonder of this beat-boxing virtuoso - I am still trying to figure out how he got those sounds out of his mouth. The mic master seems to have an orchestra living in his throat: trumpet blasts, guitar strums and samples from classic songs including Michael Jackson's 'Billie Jean' effortlessly spout from his mouth. Tom Thum is the best in beatboxing that Australia has to offer and exhibits talent beyond comprehension. Tom was polite, down to earth and so easy to deal with. A true professional.